NFU Mutual can provide MWT members with a wide range of services,advise and support. From specialist tourism insurance to succession planning and everything in-between. 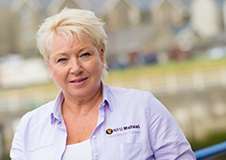 Its important to protect your business and your family for the future and MWT are pleased to have strong links with the team at NFU Mutual Aberystwyth.